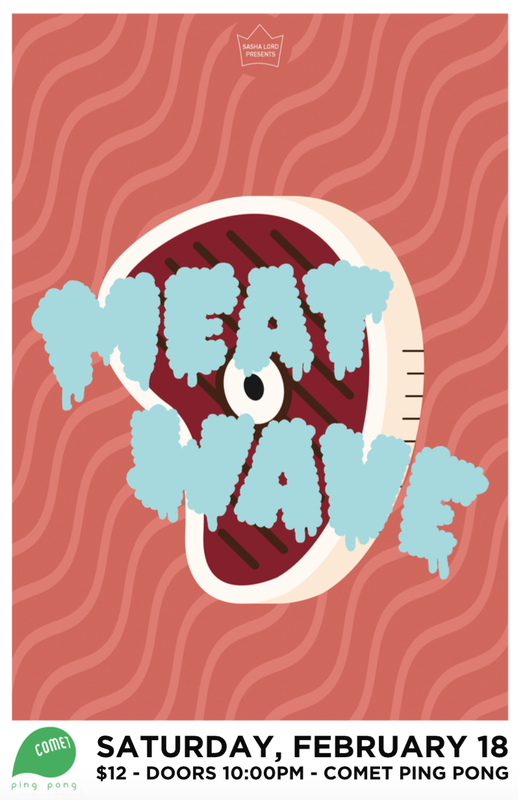 Meat Wave is constantly being asked about its name, though it gets why you keep on doing it. Formed in 2011 by the trio of Chris Sutter (vocals/guitar), Joe Gac (bass), and Ryan Wizniak (drums), the three Chicago punk scene stalwarts came together and, just a year later, released its self-titled full-length, though that was never the intention. Having signed to SideOneDummy, Meat Wave is set to release Delusion Moon, a record that works as one interlocking piece. Focusing on the lunar cycles and the concept of moon sickness, Sutter puts himself in other peoples' shoes and attempts to work through the insanity of our modern world with the band's acerbic post-punk serving as the backdrop. It's a record that's varied, versatile, and endlessly venomous, offering biting social criticism the way only Meat Wave can.